View the Gallery! Click here! 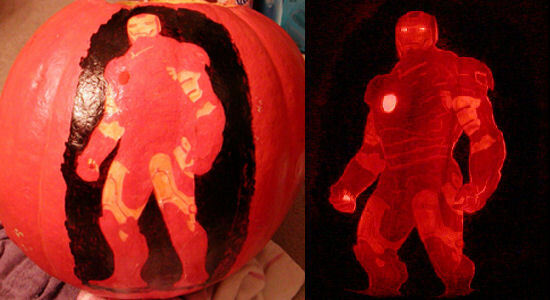 Want something unique this Halloween? 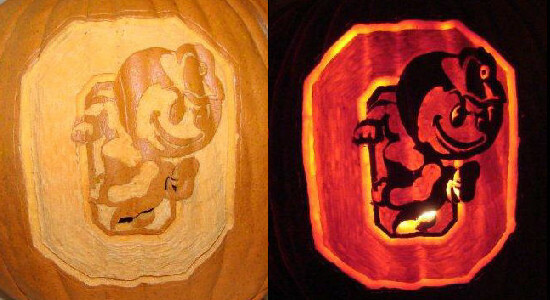 Click on "Gallery" for previously carved pumpkins. 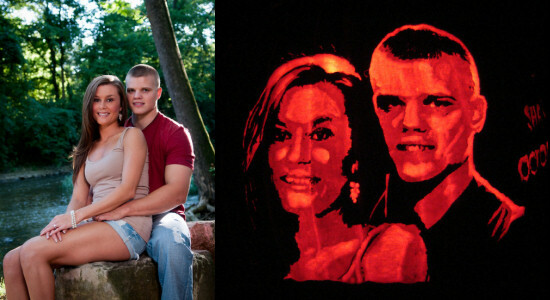 We will work with you to custom design a pumpkin to your specifications. 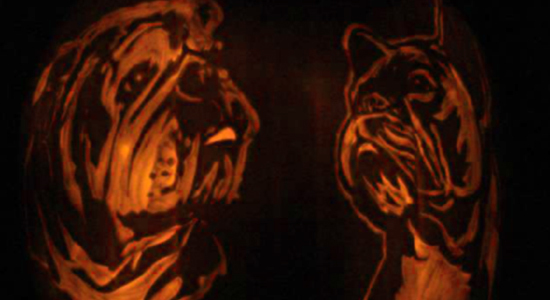 Prices range from $20.00 - $200.00 (pumpkin included) depending upon the size of the pumpkin, number of carvings and the complexity of the carving. Shipping and insurance are extra costs. Click Here. Yes, that's us! 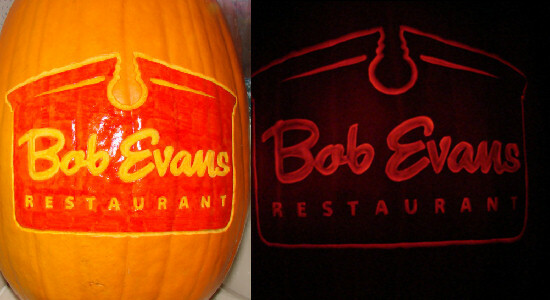 "I won this pumpkin at the Bucks for Charity auction at work. I was able to choose any design I wanted. I chose the cats and bats from 2007. I’m very pleased and impressed with the artful design as well as the overnight service. 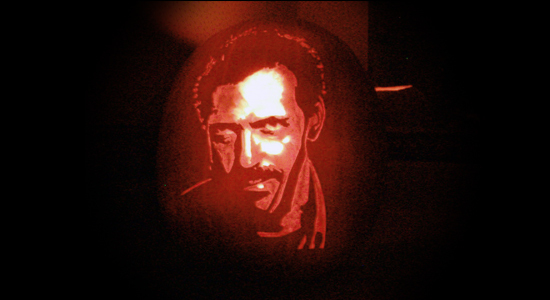 I’ve had many compliments on the pumpkin. Because I’m still a working girl I love the fact that it is made of foam, so all I need to do is set it out each year, and I can keep it forever. What more can I say? It’s a lovely decoration for the holiday." "I bought this pumpkin as a birthday present for my mother, as I am always looking for something unique to give. Once we took it in a dark room and lit it up, she was so surprised! The artwork and detail was incredible. She immediately wanted to show the neighbors how awesome this pumpkin was. They even put a scented jelly on it to preserve it and make it last longer!" 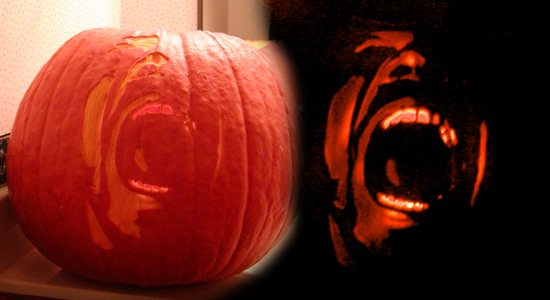 "A friend brought my pumpkin from Xtreme Carvers unexpectedly. 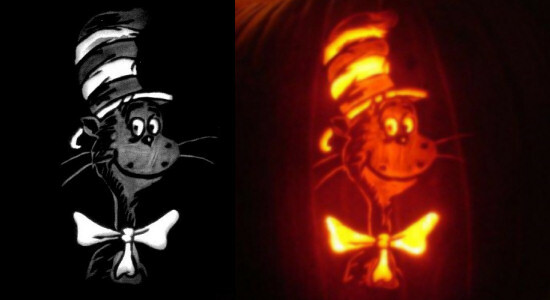 In the daylight, the pumpkin carving did not look like anything I recognized, but add a candle and flick the lights off, and the image was breathtakenly accurate! All the neighbors loved it when trick-or-treating. Highly recommend Xtreme Carvers!" 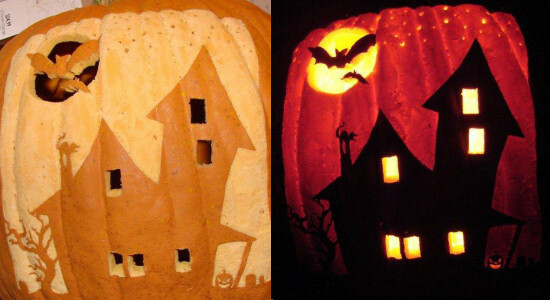 "We really like the pumpkin and intend to pass it around the family on Halloween. Thanks for such a great addition to my favorite holiday... 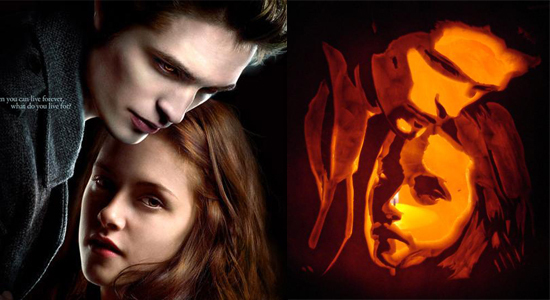 I will start a yearly pumpkin request from you with a new design request. My unique pumpkin collection has started!" Copyright © 2014 • Xtreme Carvers • All Rights Reserved • Created by Awaken Technologies, Ltd.